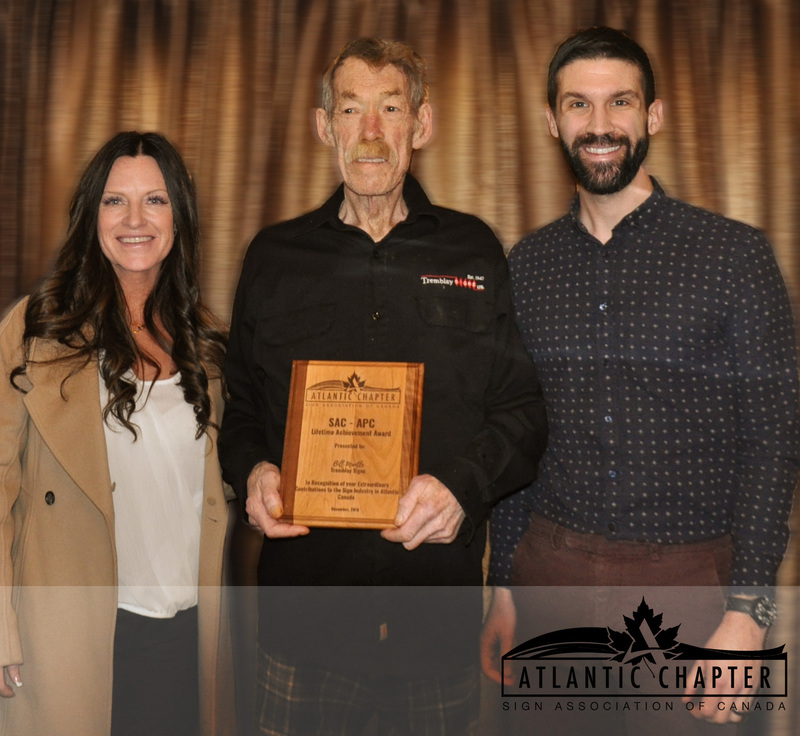 Bill Mantle of Tremblay Signs received the Lifetime Achievement Award from the Sign Association and the Atlantic Chapter of the Sign Association of Canada. A long-time supporter of the association and the industry, Bill has also owned and operated Halifax’s Tremblay Signs for over 30 years! Bill, thank you for your outstanding contribution to the sign industry and Atlantic Canada.